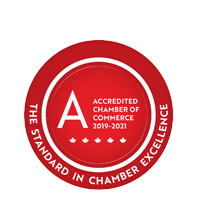 Checker Limousine | Limousine Services | Transportation Services - Business Directory - St. Thomas & District Chamber of Commerce - ON, ON ? Checker provides many of the services you would find with a traditional limousine company. As a matter of fact, they were born out of the traditional limousine business and are part of a parent company, Voyageur Transportation Services, which provides additional group services to their customers. Checker works with you to make your event safe and memorable. Their knowledgeable staff will guide you through your transportation options and find a solution that works best for you.